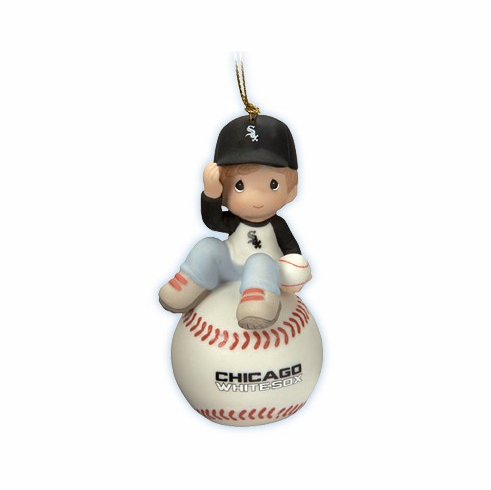 This Chicago White Sox Boy on Baseball Ornament by Precious Moments measures 3 5/8" tall. "I Have A Ball With You!" Sports fans rejoice! This ornament designed for spectators of one of the Major League's most popular teams, the Chicago White Sox, will have them cheering with delight. Officially licensed through MLB, each is a great gift idea for that "hard to shop for" person in your life. Bisque porcelain ornament. Very limited quantities...RETIRED 2010 DESIGN.